Screencasting is the easiest way to record a Skillshare class. All you need is a computer and a microphone. Screencasting is great for software or website walkthroughs and any class that is taught using a slide presentation. 1. Set your screen resolution. Skillshare’s video player uses a 16:9 aspect ratio. Only choose resolutions at 1280 x 720 or above in order to have an HD video. Note: If you’re using slides they should also use a 16:9 ratio to avoid letterboxing. If the resolutions on your computer do not offer a true 16:9 ratio feel free to use 16:10, but you’ll need to resize it in editing and it will create a border. 2. Clean your desktop. Minimizing the amount of distractions can let your audience focus. If you’re presenting slides, use the full screen or presentation mode. Hide the Day/Date/Time from your menu bar. High quality audio is extremely important for a good class, almost even more so than the visual elements. Find a quiet place. Even with the best audio equipment a noisy environment can ruin a recording. Choose a microphone. If you’re using an Apple computer, the easiest microphone to use (with average results) is the one on your Apple Headphones for two reasons: 1) the placement of the microphone on the headphones is optimal and 2) they have the option of using “ambient noise reduction” which can be selected in your Sound preferences. (System Preferences > Sound > Input). For better results, USB microphones can be a better option, as they are “plug and play” in most cases. XLR microphones are the professional’s choice (think NPR). These microphones will be more expensive, and require additional equipment like an audio interface. An audio interface converts the microphone’s signal to digital information, and can also provide power to high-end microphones. 3. Microphone Placement Even the best microphone will have bad results if not placed properly. Picture a 1 foot/12 inch bubble around your mouth where your voice projects. Place the microphone anywhere in that area. 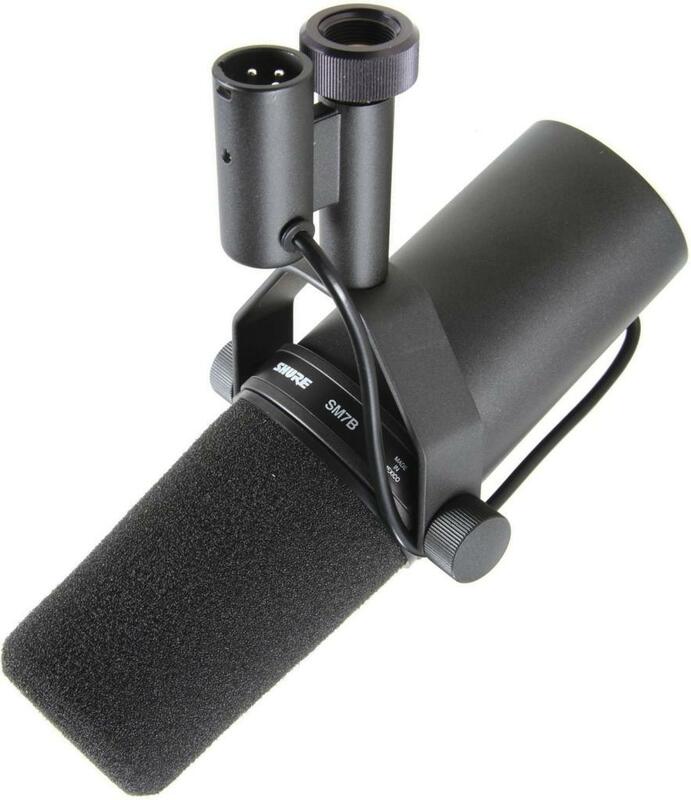 Many USB microphones are made for podcasting and will come with a tabletop microphone stand. If you’re using a lavalier clip it your shirt just under your neck. 4. Check your settings. Check your cables and make sure your input is set to the correct input in your Sound preferences. Watch the audio meter as you speak into it.